This is the post where I summon the great demon Vox Day to drive traffic and get exposure for my books. I have noticed this happening in the last year or so, but this article at Breitbart London sums it up nicely: you can use SJW outrage to get your work out there, talked about, and (most importantly) bought. There’s nothing like fresh, crisp bills in your pocket to make you smile, and keep the creditors at bay. So here’s the deal: in my books, the villains are often women. They are certainly some of the cruelest characters I’ve written. I have no ethnic diversity, unless you count some magical creatures in the diversity tally, but no one has dark skin, or yellow skin, or is transgendered, or homosexual. Basically I write about a fairly insular white society. Similar to Iron Age Celts. 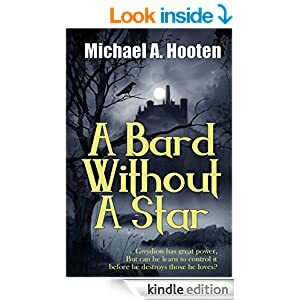 Oh, and the main character in A Bard Without a Star? He was completely inspired by Vox Day. There’sa book I’ll never read.